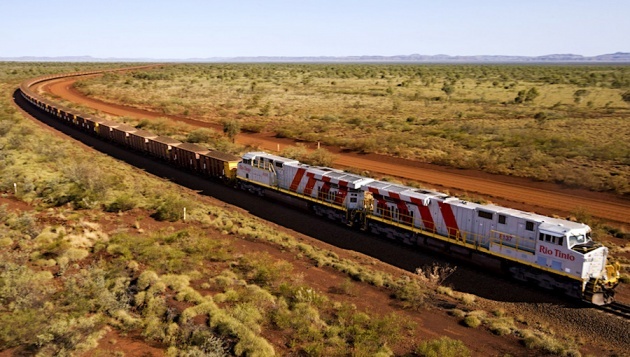 Rio Tinto’s fully autonomous train, said to be the world’s largest robot, has completed its first delivery of iron ore between the company’s Mount Tom Price mine and the port of Cape Lambert. The “significant milestone” in Rio’s $940 million Autohaul project was reached when the train consisting of three locomotives and carrying around 28,000 tonnes of ore made the 280km driverless journey. The trip was monitored remotely by operators at Rio’s Operations Centre in Perth more than 1,500km away. The average return distance of these trains is about 800 kilometres with the average journey cycle, including loading and dumping, taking 40 hours.